At a time when Wikipedia and other social networks dominate, going from the private area to the public arena has become a form of civil baptism for the biography of an artist. Thus, we are fortuitously given a date by the reviewer Renaud Machart ; in Le Monde‘s edition of Friday 2 November 2008, he expressed astonishment that ‘minor or obscure composers’ such as Franck Bedrossian had a more up-to-date biography in IRCAM’s new database (intimidatingly baptised ‘Brahms’) than well-established composers such as Luciano Berio or George Benjamin. From unknown to known, the line is thin. Tomorrow, might one perhaps be reproached for having had his or her biography in the 2011 edition of Who’s Who before having been legitimately recognised by the Bottin mondain1 ? Thankfully, we no longer live in an era when the Jockey Club refused Wagner its imprimatur ! In his defence, Franck Bedrossian could today boast of teaching composition at the world’s second-ranking university (according to the 2010 Shanghai ranking2), whereas the first French university is ranked only 39th ! Ought we to have begun his biography by clarifying his lineage ? We shall thus limit ourselves to remarks made by the 12th Duke de Brissac in his memoirs3 : ‘[…] there is no French race. Aside from the fact that [the French] speak the same tongue (rather badly), obey the same laws (just as little) and sing the same hymn (equally out of tune)…’. In fact, the year 2008 might well mark the turning point in Franck Bedrossian’s life as an artist, with his departure for the United States in view of teaching composition at Berkeley, the year having begun with the 24 January meeting at the Centre de Documentation de la Musique Contemporaine on the topic of ‘saturation’ launching his residency with the Ensemble 2e2m. Let us summarise the learning years. In September 1998, Franck Bedrossian enrolled in Gérard Grisey’s composition class at the Paris Conservatoire. The latter’s sudden death in November of that year put an end to the dialogue that was developing. 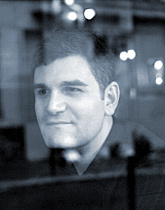 In 2001, he began the degree course in computer composition at IRCAM, which concluded with the first performance of Transmission for bassoon and electronics in October 2002. Given the number of repeat performances it received, this work stood out as the session’s reference. The following year, he obtained his composition prize at the Conservatoire with the version for 35 musicians of La Conspiration du silence. By the time he left for the Villa Médicis, he had harvested a number of prizes4. Arriving in Rome in June 2006, Franck Bedrossian decided that he would live from composition and from teaching it. At the same time, he freed up time to think about his tools and his aesthetic project—what he calls, with a touch of irony, the ‘time of the criticism of arms5’. With those markers in place, the composer returned to his worktable and produced his first string quartet, Tracés d’ombres, for the Diotima Quartet in 2007, premiered at the Villa Médicis, and three works for wind instruments: Propaganda for saxophone and electronics, following in the wake of Transmission ; Manifesto for wind octet ; and Bossa nova for the accordionist Pascal Contet. For a time, Franck Bedrossian indulged in Roman farniente for a few chess tournaments but could obviously not resist the Roman and Florentine bellezza6. of frictions and tearing, which also constitutes the privilege of the trio L’Usage de la parole9’. He concludes with this first synthesis : ‘In a fury, Bedrossian’s music comes in a variety of forms with an innate sense of nuance’. His sense of organisation and nuance assert themselves in his first string quartet, Tracés d’ombres. During its second hearing at the closing event of the Ars Musica Festival in 2007, Michel Debrocq of Brussels’ Le Soir grasped the musical gesture : ‘A bird soars into the upper register, and the piece ends in the whispering of an ancient chorus that almost approaches silence10’. The dramaturgical dimension of his music was also noticed by Pierre Gervasoni at the first performance of Propaganda at the Biennale Musiques en Scène in Lyon : ‘This piece, of wild richness, here transcends its ideal of bruitist saturation to attain a certain form of the sacred11’. It is not sound saturation per se that interests Franck Bedrossian but the musical situations that it generates. He specifies : ‘More than saturation, it’s the saturated phenomenon that interests me12.’ Here, at last, is the distressing word : ‘saturation’. for 11 instruments. In 2010 he was invited to give a concert at the Darmstadt summer session, and in August of that year, the Ensemble 2e2m again performed It at the ‘Der Sommer in Stuttgart’ festival after the work had triumphed the year before at the Cervantino (Mexico) international festival14. crossed, the ‘saturationists’ apprehend this situation of sound accumulation as the natural condition of sound today. This view of music is also a criticism of the dominant discourse of the 1990s elaborated in the wake of composer Helmut Lachenmann in which ‘instrumental musique concrète‘ appears as the alternative to the aura of philharmonic sound. Saturated music refuses to enclose itself in the Lachenmannian dilemma opposing ‘bruité sound’ and ‘philharmonic sound’, proposing the world of complex sounds as the paradigm of the 21st century. To borrow the terminology of philosopher Jean-Luc Marion19, the strength of this concept is to set the complex sound as an excess of intuition over the signification of the sound itself. It means refusing to confine it in an a priori framework, giving it a chance to be itself. To parody the philosopher : ‘The sound first listens to itself and is uttered only afterwards20’. 1 Claude Debussy as well as Olivier Messiaen had the honour of appearing in the Bottin mondain. Jockey Club from one generation to the next ! the SACEM Young Composer Prize (2007). perceive the offensive of the beautiful.’ in Franck Bedrossian, De l’excès du son, Ensemble 2e2m, 2008. 7 Le Temps, Geneva, 26 March 2009. 8 L’Humanité, Paris, 11 February 2006. 9 Le Monde, Paris, 1 July 2008. 10 Le Soir, Brussels, 27 March 2007. 11 Le Monde, 11 March 2007. 12 Franck Bedrossian, De l’excès du son, Ensemble 2e2M, 2008. Franck Bedrossian, De l’excès du son, Ensemble 2e2m, 2008.
reference of the South-American continent. is one of the rare periodicals having a chronicle devoted to contemporary music. 16 Translator’s note : National Centre for Scientific Research and Graduate School in Social Science. 17 Translator’s note : Contemporary Music Resource Centre. 18 Raphaël Cendo, ‘Les paramètres de la saturation’ in Franck Bedrossian. De l’excès de son, 2e2m, 2008. 19 Jean-Luc Marion, De surcroît. Etudes sur les phénomènes saturés, PUF, 2001. 20 ‘Le langage s’écoute d’abord, et ne profère qu’ensuite’ in Jean-Luc Marion, op. cit. CD recording of cycle Epigram for soprano and instrumental ensemble, by Donatienne Michel-Dansac (soprano) and the Klangforum Wien, under the direction of Titus Engel, for the label KAIROS.